Blogging has introduced me with many lovely friends. 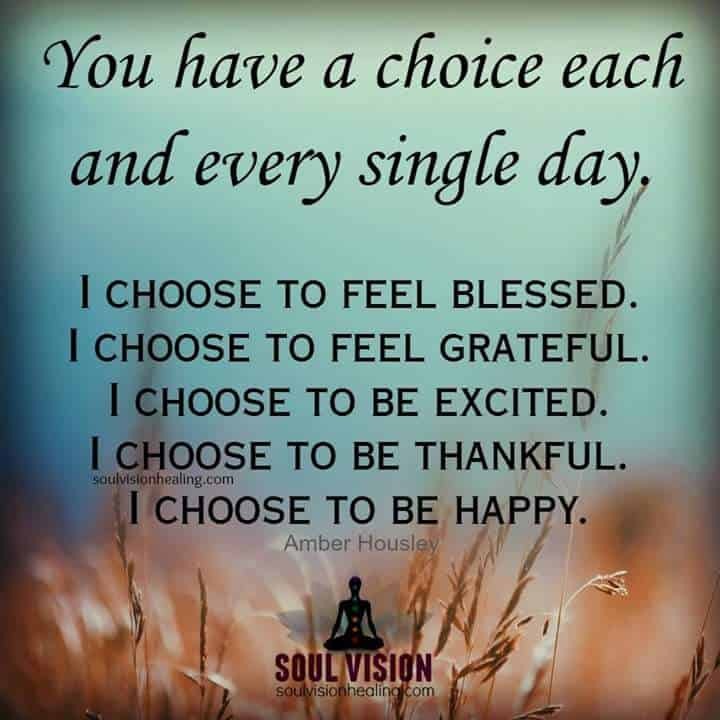 I choose to feel blessed for them all. I am grateful for many reasons. I choose to feel mindfully grateful starting from this month. My Amma and her singing group has released an audio CD. And I choose to feel excited on hearing three songs sung by my Amma. My servants took leave without any intimation on different days. Positively I choose to feel thankful for giving me a chance to do all the works for my family. As a whole March 2016 was really wonderful. I choose to feel happy. When I was at the age of 10, my grand father would usually say Thank God for each small deeds. I still remember when I brought a cup of water for him while he was busy in his works, he hold my hands, looked into my eyes and said thanks chellam heart fully. It was such a great moment that this incident had been engraved in my hearts for ever. He was grateful for every small things is his life. I can simply refer that he lead his life so gratefully such that many lives were touched deeply. He told me that we should be more aware to be grateful everyday since we were tuned to pay attention only to our troubles than our blessings. Now I learn that he had practiced mindful gratefulness throughout his lifetime. Thanks Thatha for making my life mindfully grateful. Mindfulness is the starting point for gratitude. Without mindfulness, you can’t be aware of all the things that are going well in your life. A grateful person is a mindful person. Mindfulness with gratitude gives a sense of being more fully alive. Stop whatever you are doing now. Spend few minutes now before moving onto the next thing. Think about one thing just one thing you’re grateful for. Bring a curious mind to it and see what you notice. Begin to uncover a little happiness now. Celebrated Mahashivarathri – A night of Ecstacsy with Pooja and Fasting by the grace of my Guru. Happy to celebrate Women’s Day on March 8, 2016. My fourth article 6 Simple steps to a Happier YOU! got published on Monsoon Breeze site. Read my previous articles here. My second article Save Your Kids From Virtual World got published on Parentous site. Read my previous articles here. Very very happy that two new bloggers emerged from my family with the inspiration and motivation of my blogging. You can read them at Savvy South Indian and An Indian Homemaker. Feeling proud being sorted in Blue Lagoon team from our BAR group and waiting for action. 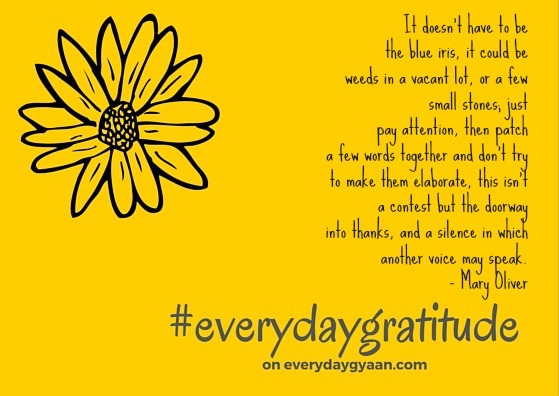 And I am sure that my Gratitude List will grow exponentially every month …. Thank God for keeping me blessed always. 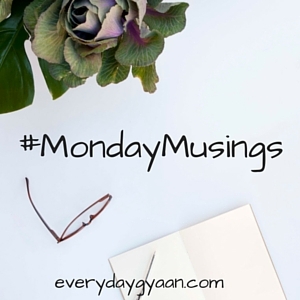 Linking this post with 2016 Gratitude Circle bloghop, Everyday Gratidute, Monday Musings and Mindful Monday – Healthy Living. Weekly Discussion : What Is Your Favorite Holiday Destination? That’s ok, Colleen !!! Best wishes for your book !!! You Dad’s lesson is a great one. We often take those we love most for granted. 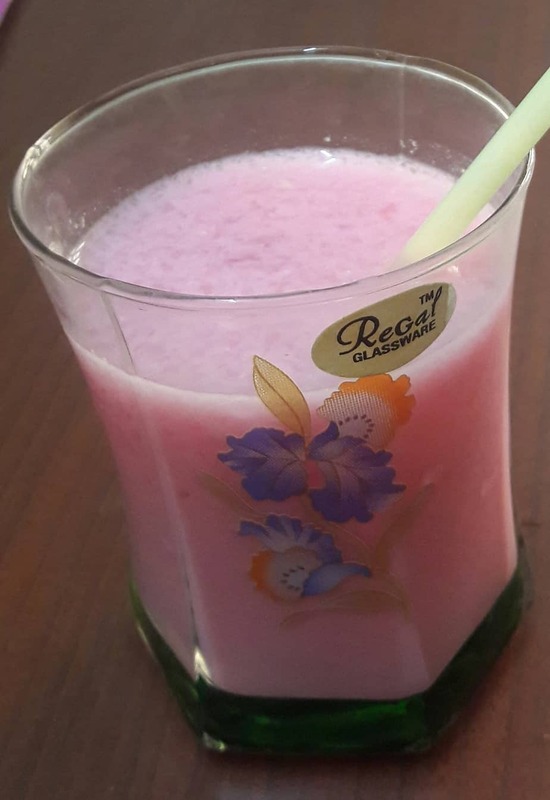 I’m eyeing that nungu drink and thinking that the fruit will be in the market soon – my favourite. Have never had it as a drink though. Oh …. Sorry to hear this. Take Care !!! Thanks Regina for your love and support !! !